Today, we understand that relationships are formed through regular, little stories and this is how products will become loved brands in the eyes of consumers. Across all consumer touchpoints (ie on-line, in-store and in-between!) we must therefore create and manage “frequent, lightweight interactions” *. Clearly, the retail world is evolving. There are countless stories to tell stating how, where and why. But there are fewer people who understand not only the strategic implications of mixing social media with retail communications but also what this means from a practical perspective. 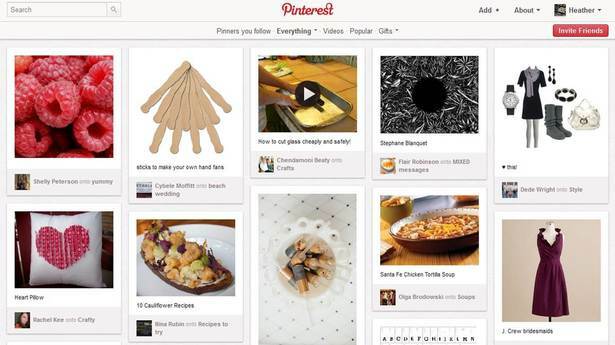 “Pinterest Joins Twitter And Facebook As The Newest Self-Expression Engine" says TechCrunch. Today, we must ask how will brands start to use new social media such as Pinterest’s pinboards to tell their story? So that’s what the team I work with does: we specialise in strategy, creative development AND activation. We understand how, where and why to create these frequent, lightweight interactions. Think small, act frequently. But to do this without confusing the consumers & shoppers there needs to be consistency. To have a range of consistent conversations brands need to have a big idea which is even bigger than before. It has to hold up to scrutiny across social networks. The big idea can no longer be broadcasted out there for the duration of the campaign then forgotten about or amended. It might live forever as is. And if it’s the right sort of big idea, you’ll want it to live forever. So we have to make sure there is one big idea which can be managed across all media. When forced to work within a strict framework, the imagination is taxed to its utmost – and will produce its richest ideas. Given total freedom, the work is likely to sprawl. The endgame, therefore, is to understand that communications is (and has always been) a game of three halves [sic]. All too often the consumer interactions are unintentionally “lightweight” rather than deliberately so. I refer here to all the cheap, quick, dull exections. Have a look in-store. Have a look on facebook and note how many brands are un-engaging. There is no big idea to answer the strategic brief. As I often say, it’s only the interesting brands that tell engaging stories that we want to listen to. Ones that we want to retell. To be good at telling stories, you first have to be good at listening to stories. UPDATE: See post on mashable: “Pinterest: How Do You Turn Pins Into Projects?” The best Pinterest-inspired projects will be featured on CNN and Mashable. *Source: “Frequent, lightweight interactions” is an expression from @padday who is the writer, brand & product guru at Facebook. He’s just published @groupedthebook. Well worth reading! ** Source: “Advertising can only go wrong in three places,” says Charlie Robertson at Red Spider, “Strategy, idea and execution”.